Yingwei Yan, Chiao-Ling Kuo, Chen-Chieh Feng, Wei Huang, Hongchao Fan*, and Alexander Zipf, Coupling maximum entropy modeling with geotagged social media data to determine the geographic distribution of tourists, International Journal of Geographical Information Science, IJGIS; doi:10.1080/13658816.2018.1458989, 2018 (SCI, JCR 2016 IF=2.502). Chiao-Ling Kuo*, Ta-Chien Chan, I-chun Fan, and Alexander Zipf, Efficient Method for POI/ROI Discovery Using Flickr Geotagged Photos, ISPRS International Journal of Geo-Information, ISPRS IJGI. 7(3), 121 (2018); doi:10.3390/ijgi7030121, 2018 (SCIE, JCR 2018 IF=1.502). Yingwei Yan*, Melanie Eckle, Chiao-Ling Kuo, Benjamin Herfort, Hongchao Fan, and Alexander Zipf, Monitoring and Assessing Post-Disaster Tourism Recovery Using Geotagged Social Media Data, ISPRS International Journal of Geo-Information, ISPRS IJGI. 6(5), 144 (2017); doi:10.3390/ijgi6050144, 2017 (SCIE, JCR 2015 IF=0.651). Yung-Chu Teng, Chiao-Ling Kuo, Chien-Chou Chen, Yao-Hsien Yeh, Jui-Hung Kao, Bo-Cheng Lin, I-Chun Fan, and Ta-Chien Chan*, Using Government Open Data to Construct a Taiwan Online Interactive Map of Disease Causes of Death, Taiwan Journal of Public Health, 35:5 2016.10, 553-566, doi： 10.6288/TJPH201635105012, 2016 (in Chinese). Bo-Cheng Lin and Chao-Wen Chen*, Chien-Chou Chen, Chiao-Ling Kuo, I-chun Fan, Chi-Kung Ho, I-Chuan Liu, and Ta-Chien Chan*, Spatial decision on allocating automated external defibrillators (AED) in communities by multi-criterion two-step floating catchment area (MC2SFCA), International Journal of Health Geographics, 15:17 (doi:10.1186/s12942-016-0046-8), 2016 (SCI/SSCI). Chiao-Ling Kuo and Jung-Hong Hong*, Interoperable Cross-domain Semantic and Geospatial Framework for Automatic Change Detection, Computers & Geosciences, vol. 86 (2016), 109-119; https://doi.org/10.1016/j.cageo.2015.10.011, 2016 (SCI, JCR 2015 IF=2.054). Jung-Hong Hong and Chiao-Ling Kuo*, A Semi-Automatic Lightweight Ontology Bridging for the Semantic Integration of Cross-Domain Geospatial Information, International Journal of Geographical Information Science, IJGIS, vol. 29, 12 (2015), 2223-2247; http://dx.doi.org/10.1080/13658816.2015.1072200, 2015 (SCI, JCR 2014 IF=1.655). Chiao-Ling Kuo, Ta-Chien Chan and I-chun Fan, Based on big data technology to establish POIs from geotagged photos, 2015 Taiwan Geographic Information Society Conference (TGIS conference), Taichung Taiwan, 29-30 June 2015 (oral)(in chinese). 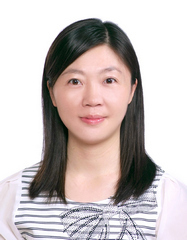 Pai-Hui Hsu, Chiao-Ling Kuo and Jung-Hong Hong, The application and development of topographic data- semantic perspective, 33th Geomatics Conference, Taipei Taiwan, 4-5 September 2014 (Oral)(in Chinese). Chiao-Ling Kuo and Jung-Hong Hong, Approach towards the Establishment of Land Use Ontology, IGU 2013 Kyoto Regional Conference, Kyoto, Japan, 04-09 August 2013 (Oral). Chiao-Ling Kuo and Jung-Hong Hong, A Bridge ontology Approach for Locating Changed Objects in Data Update Applications, 16th AGILE Conference on Geographic Information Science (AGILE 2013), Leuven, Belgium, 14-17 May 2013 (Oral). Chiao-Ling Kuo and Jung-Hong Hong, Hierarchical ontology development and semantics retrieval for land use data, IEEE International Geoscience and Remote Sensing Society (IGARSS 2012), München, Germany, 22-27 July 2012, p.6051-6054 (Poster). Address Locator Standardized Conversion Processing Device, TWM529889 (U), 2016-10-01. Best Ph.D. Dissertation Award, Taiwan Geographic Information Society (TGIS), 2016. Smart City Innovation and Application Award, Name of system: Dengue Fever prevention and decision making, Smart City Summit & Expo, 2016. Silver Award, Open Data Innovation and Application Contest, Name of App: Attacking Mosquito, Industrial Development Bureau, Ministry of Economic Affairs / Project of Data-Driven Service Industry Applications & Development, 2016. Postdoctoral Research Abroad Program (PRAP) Scholarship, Ministry of Science and Technology. The program: Based on the semantics and data quality perspectives and utilizing the Big Data technology to establish the POIs discovering framework, GIScience group, Institute of Geography, Heidelberg University, Germany, Apr. 18, 2016– Apr. 17, 2017. Champion, App competition, Name of App: Disaster Notification. App development advanced course, Computer and Network Center, NCKU and Yunlin Chiayi and Tainan Regional Teaching Resource Center, 2014. Grant, granted by ESRI to attend the Vespucci Initiative for the Advancement of Geographic Information in Science in Fiesole, Florence, Italy, 2012. NSC and Germany's DAAD Sandwich Program scholarship. The research program: An ontology-based approach to facilitate the integration of geo-information, Institute for GeoInformatics, University of Münster (WWU), Germany, Sep. 2011– Feb. 2013. Best Student Paper Award, Paper title: An Ontology-based Approach for Using Topographic Data to Update Landuse Data, 29th Geomatics Conference, Taiwan, 2010. © 2017 SGIS, Academia Sinica.